Detective work is very difficult—but very exciting. A good detective must be patient, watchful and well-trained. He must know how to build the whole story of a crime from tiny clues. Yet he must be ready to spring into action at any time—to outrun and outwit even the craftiest criminal. That is what this book is all about. It shows you the special skills detectives use, like identifying fingerprints and handwriting, examining witnesses, and reading clues. It tells you what information you need in order to act fast in emergencies. There are games, puzzles and training courses to help you practice. And there are lots of stories about the kind of tricks crooks play—so that you will be prepared for them when you meet them. This entry was posted in 70's, adventure, children's books, educational, fiction, illustrated, mystery, non-fiction and tagged 1979, Angela Wilkes, Anne Civardi, Colin King, Judy Hindley, Pocketbook, Usborne. Bookmark the permalink. Oh wow! 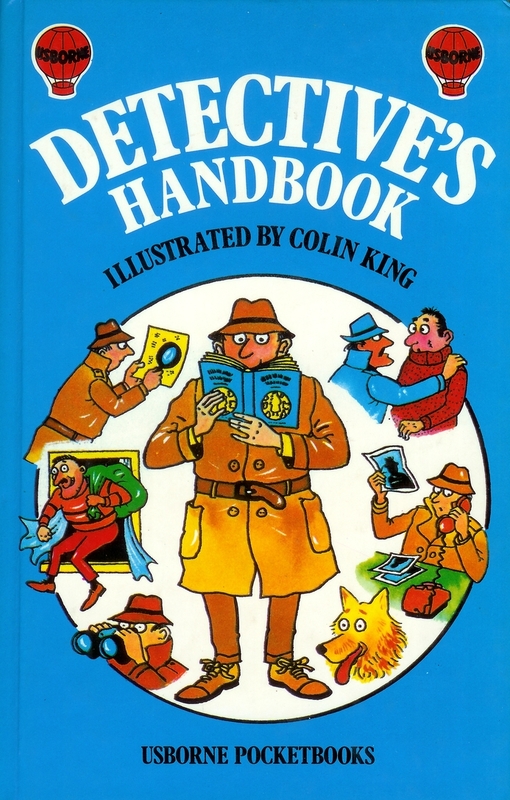 I remember this book, such a blast from the past, if only I wasn’t too lazy to actually do anything the book mentioned. I know it’s a long shot but I’ve been looking for a first edition 1979 hardcover of this book for a gift to my boyfriend. The book has fond childhood memories for him and his father reading it to him who has since passed. I have looked for a solid year and the only one I found was taken right from under me on eBay. This would be a cherished gift. Any advice would be appreciated.